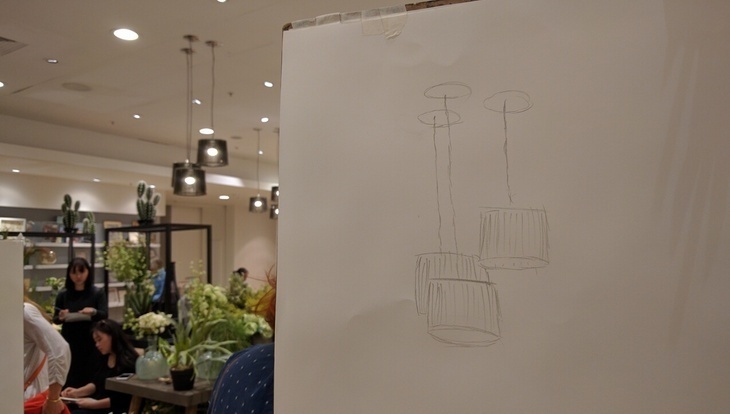 We hadn't done any drawing since secondary school, so when we saw the opportunity to try out still life drawing for free we thought why not. 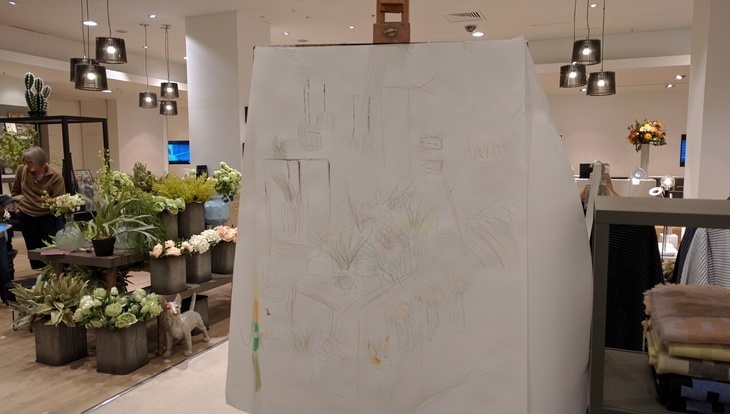 Every first Thursday of the month the Royal Drawing School sets up some easels in Selfridges and welcomes anyone to drop in to have a crack. The lessons are guided by expert tutors. The other efforts are pretty good and it can be a little intimidating at first. We sit down at a large blank piece of paper; aptly our mind goes blank. This drawing malarkey is intimidating at first, as all those around us seem much more talented than we are. But as we sit there looking lost, Anna — one of the tutors — comes over, plies us with materials and encourages us to make a start. Charcoal seems far too sophisticated for us, and pen too permanent, so we stick with the humble pencil. We pick the easy subjects at first — after all how wrong can you go with lamp shades and rectangular shelves? Best to leave the flowers until later, for when we've worked up a bit of confidence. Our shaky start involves tackling a few lamp shades to start with. Then we find out that you can collaborate on a piece of work. 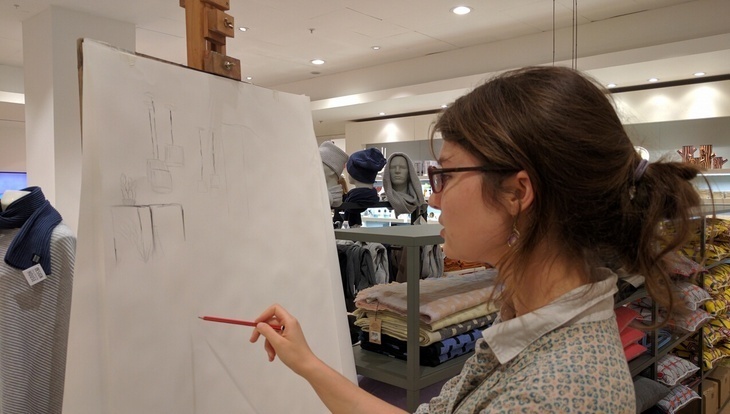 We quickly rope in Elizabeth from the Royal Drawing School. After all, if you're going to screw something up, it's never as bad if you can share the blame. 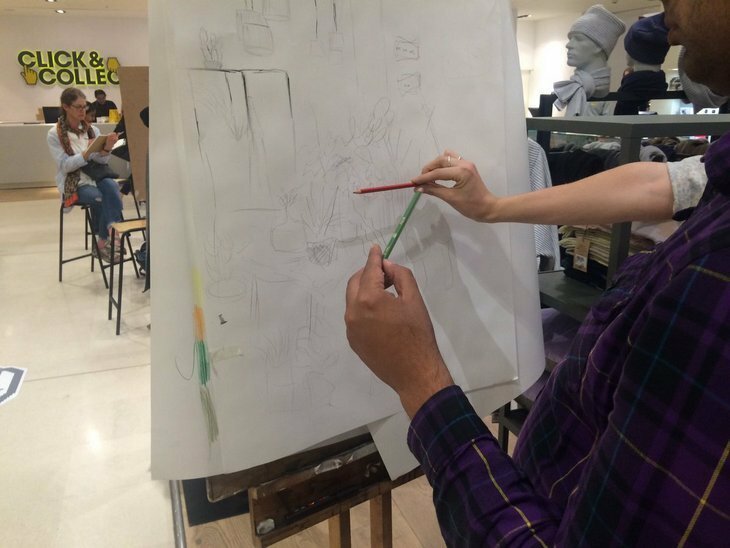 One person draws and the other is the 'corrector' who embellishes the original drawing, and you alternate with a few minutes each. 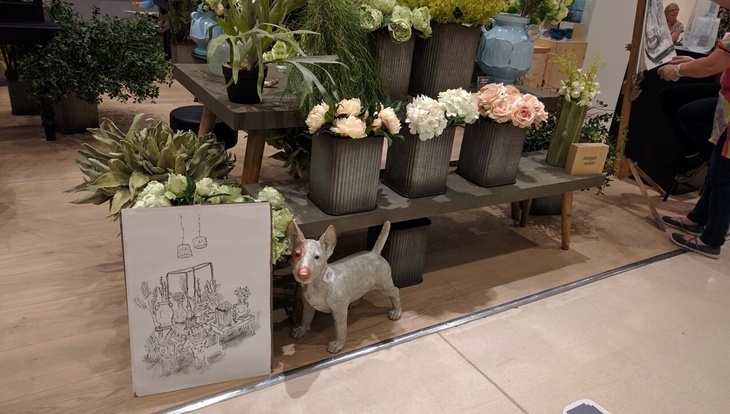 We realise that shared drawing could be a fun first date activity. Then again, if correcting someone's grammar is a big no-no, correcting a drawing could be a blood bath. Here we are learning all about perspective and how we got it completely wrong. Time flies and before we know it we've been at it for 50 minutes. Nikki, another one of the tutors, comes over and mentions how we've got the perspective completely wrong. But after spotting the forlorn look on our face she quickly adds that it makes our artwork more interesting, and that it reminds her of Pierre Bonnard. We look up Bonnard's paintings and realise Nikki is being extremely generous. We try to save any remaining face by claiming it's an isometric view — like you'd get in the video game Command & Conquer. This is met with a blank stare that suggests Nikki has never played a real time strategy game, and that she may not be old enough to know what Command & Conquer is. Having a crack at drawing, and enjoying our mixed effort. We're also taught how to divide a work into zones, which brings to mind the Crystal Maze and zonal marking in football. It actually refers to the fact that warm and dark colours can really draw the eye to and away from certain parts of the picture. We only have five minutes left now, and as our work doesn't have any colour in it yet, we attack the canvas with coloured pencils. The splashes of colour definitely made it look more interesting and lively. We're proud of our flawed final work. The National Gallery may not be giving us a ring any time soon, nor is any art school likely to accept us based on our output. But we had a lot of fun, learnt a lot about the art of drawing and we'd definitely come back and give it another try. And if it all gets a bit too much, it's directly opposite a bar so you can give your liver, and your wallet, a good seeing to afterwards. 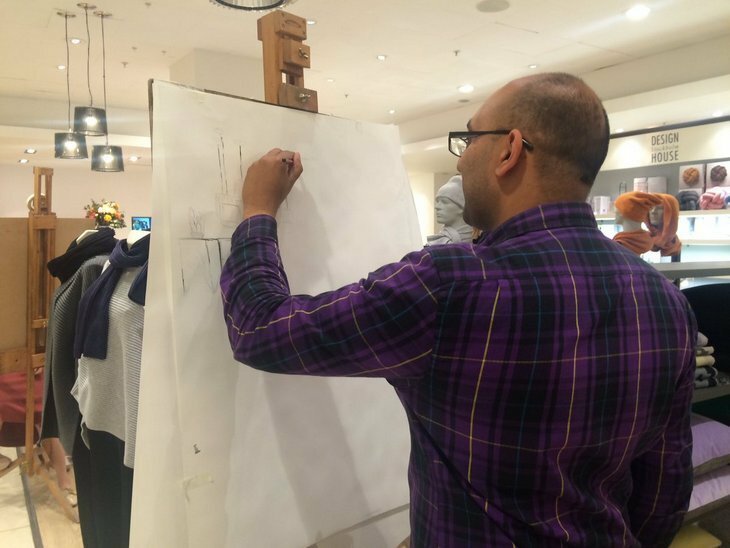 First Thursdays - Easy Easels is on at Selfridges on the first Thursday of every month. Every session runs from 5-7.30pm and all are free to drop in.